(up to $6 maximum discount). (up to $5 maximum discount). 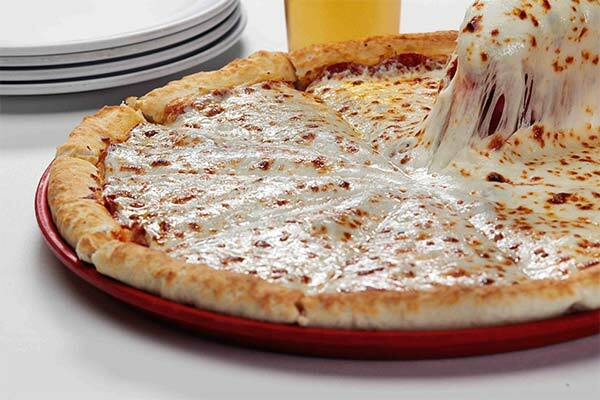 Build Your Own Awesome Pizza$4.99&upIncludes mozzarella & red sauce. 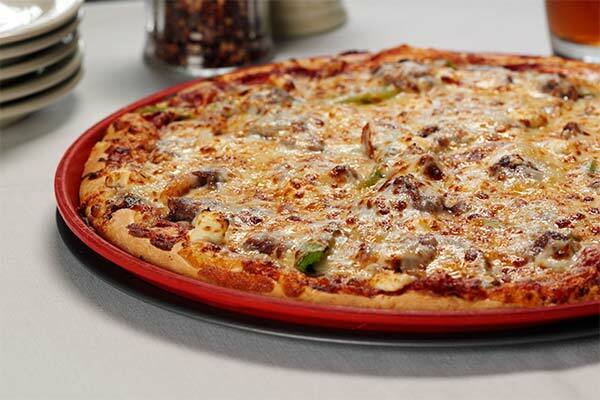 Combo Pizza$6.99&upPepperoni, American sausage, hamburger, green peppers and onions. 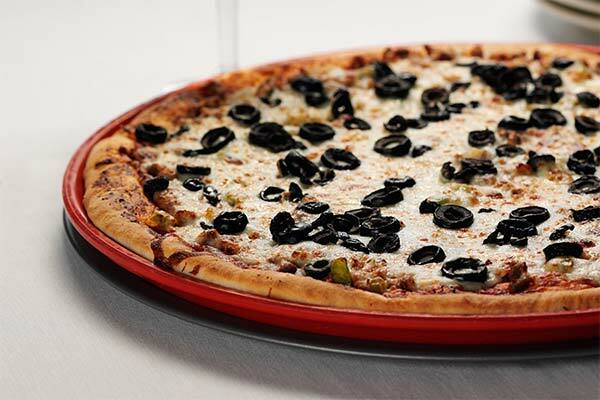 Topped with mozzarella and black olives. 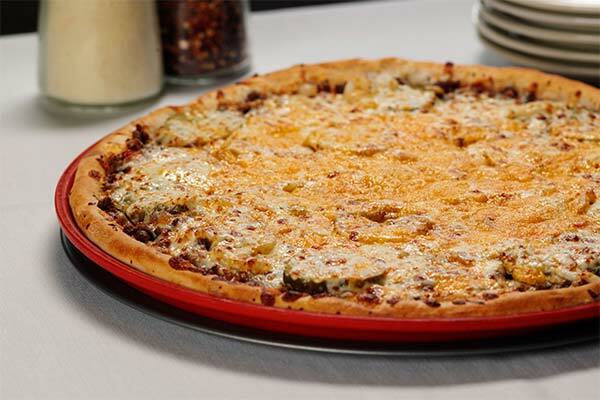 Jumbo Combo Pizza$6.99&upPepperoni, American and Italian sausage, hamburger, green peppers, mushrooms and onions. Topped with mozzarella and black olives. Barbecue Chicken Pizza$6.99&upChicken with spicy barbecue sauce and red onions. Topped with mozzarella, provolone, Monterey Jack, Swiss and cilantro. 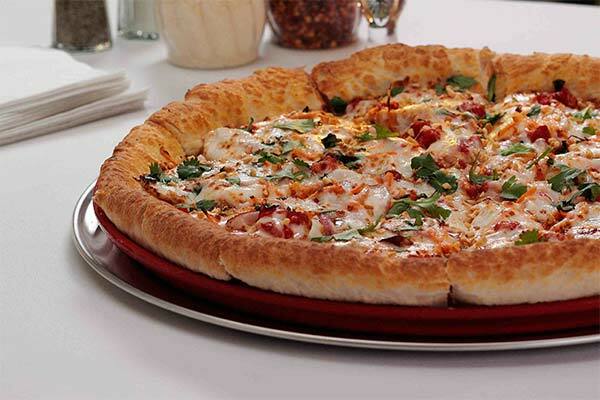 Italian Buffalo-Style Chicken Pizza$6.99&upChicken with our signature hot sauce. Topped with provolone, blue cheese and carrots, served with side of blue cheese dressing. Cheeseburger Pizza$6.99&upHamburger with our sweet Minskitoni sauce, onions, sliced pickles and mustard. Topped with mozzarella and cheddar. 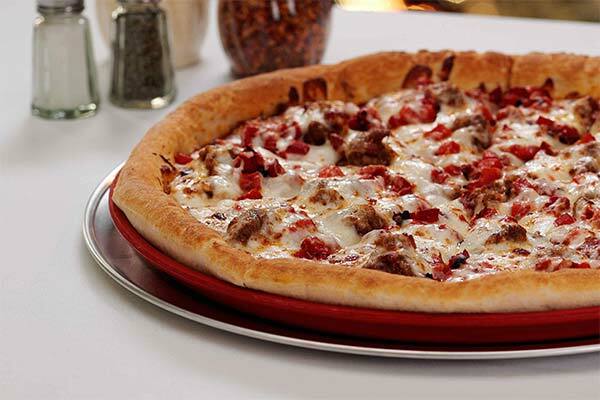 Papa Minsky’s Pizza$6.99&upPepperoni, Italian sausage, salami and roasted red peppers with our sweet Minskitoni sauce. Topped with mozzarella and Romano. 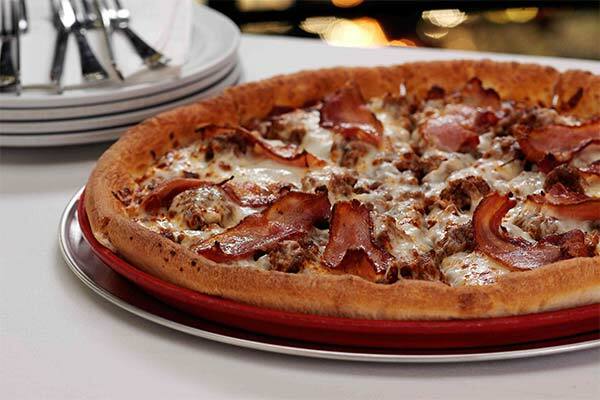 Prime Cut Pizza$6.99&upPepperoni, hamburger, American and Italian sausage. 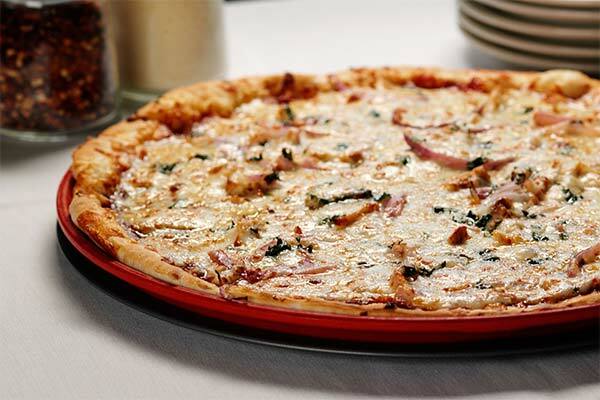 Topped with mozzarella and crisp bacon strips. Try it Kansas City style: substitute bbq sauce at no extra charge. Spicy Thai Pizza$6.99&upChicken, red onions, red bell pepper and carrots with a spicy Thai peanut sauce. Topped with mozzarella, roasted peanuts and cilantro. 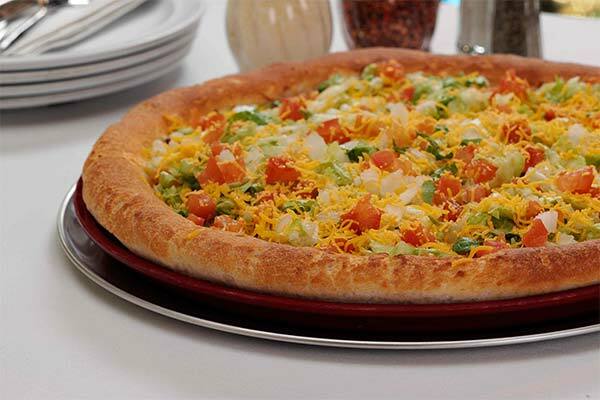 Tostada Pizza$6.99&upChoice of hamburger or chicken with spicy refried bean sauce. Topped with Monterey Jack. Crowned with lettuce, cheddar, red onions and tomatoes. Nature’s Choice Pizza$6.99&upArtichoke hearts, zucchini, green peppers, mushrooms and onions. 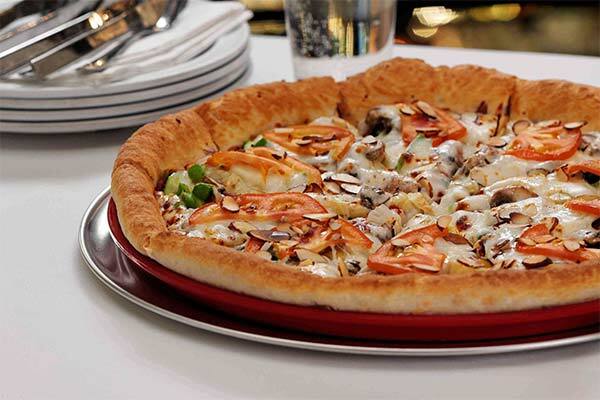 Topped with mozzarella, sliced tomatoes and slivered almonds. Five Star Cheese Pizza$6.99&upAlfredo sauce topped with our signature house cheese blend of mozzarella, provolone, Monterey Jack, and Swiss. Finished with Feta crumbles and Romano, sprinkled with rosemary. 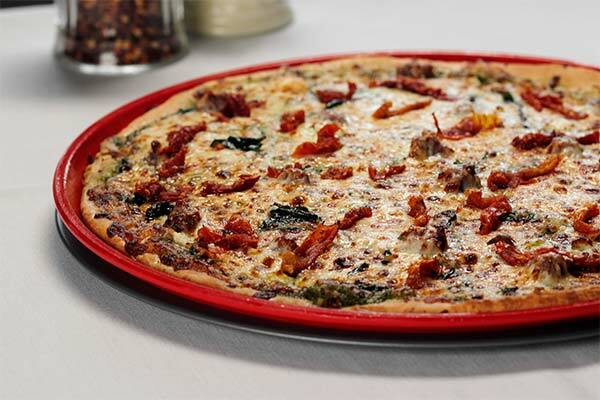 Mediterranean Pizza$6.99&upLamb sausage with pesto sauce, sun dried tomatoes and spinach. Topped with mozzarella and feta. Chicken Cordon Bleu Pizza$6.99&upChicken with Alfredo sauce, Canadian bacon, mushrooms and basil. Topped with mozzarella, provolone, Monterey Jack, Swiss and Italian bread crumbs. 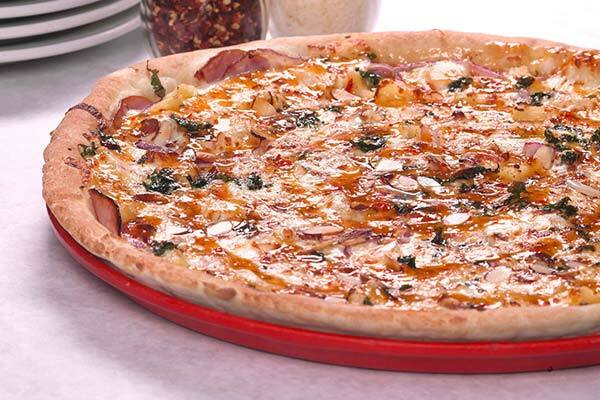 The Big Island Hawaiian Pizza$6.99&upCanadian bacon, pineapple and red onion. 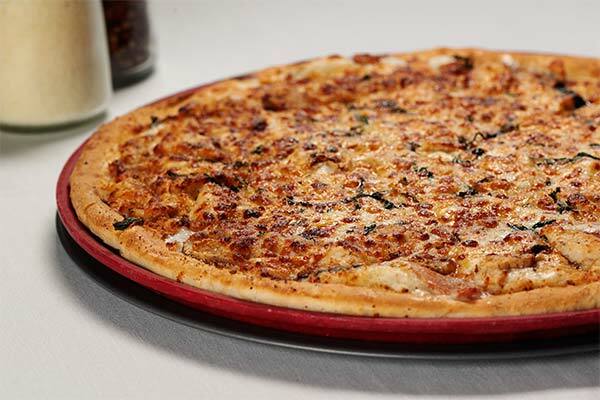 Topped with mozzarella, almonds, cilantro and sweet chili sauce. The Liberty Bell Philly Pizza$7.99&upSliced sirloin steak, cream cheese, green pepper and red onions on our sweet Minskitoni sauce. Topped with mozzarella, provolone, Monterey Jack and Swiss. Now offering group ordering for large parties & office lunches. Let everyone pick exactly what they like! © 2018 Minsky's Pizza. All Rights Reserved.